Contemporary meets Indian fusion in the creative bubble of the 26-year-old creative head of Bloni Atelier, whose methods are imbued with a certain chaos. Having honed his skills with stints at Saville Row and Tarun Tahiliani, he went solo with his own label in July last year. 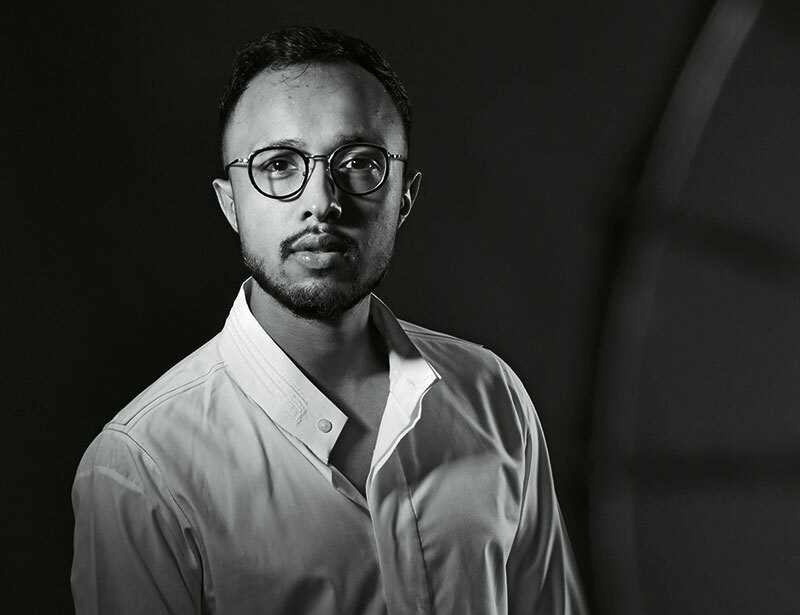 The Central Saint Martins and NIFT Mumbai alumnus treats every project as if it were his baby. Mesmerised by nature, colours, textures, languages and various cultures — the designer believes in the importance of feeling and experiencing his inspirations. “Known for capturing unique identities, we want our designs to help clients expand their comfort zone, evolve and express themselves better. At Bloni, we encourage an unconventional approach and believe in developing and nurturing ideas. Our garments are made using age-old techniques and delivered with an intimate touch. We lend individual identities a sharper and stronger voice,” he shares. A nomad at heart, when not caught up in cuts and lines, Akshat likes to take off to remote places in search of a muse. His collection at LFW 2017 was the result of a recent visit to the snowy terrains and mountains of Manali. A passionate photographer, he also intends to explore antiquated techniques and engender collections that will remain androgynous at their core.